The home of the future has arrived! 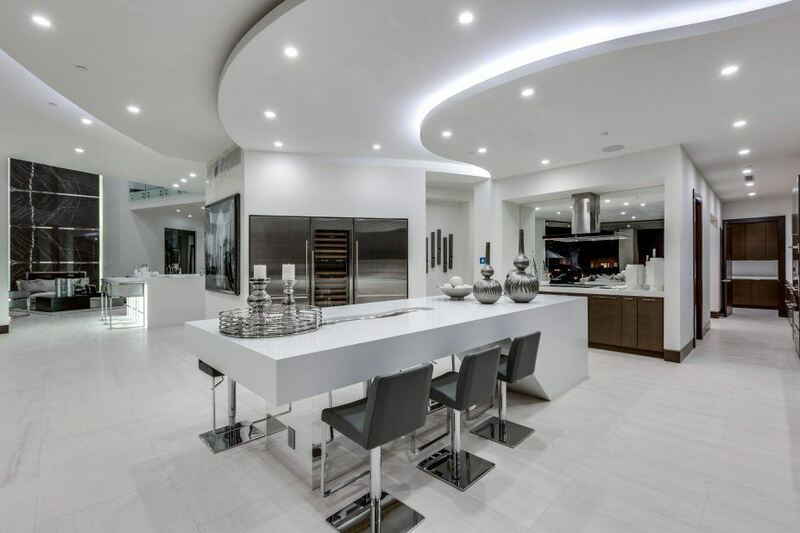 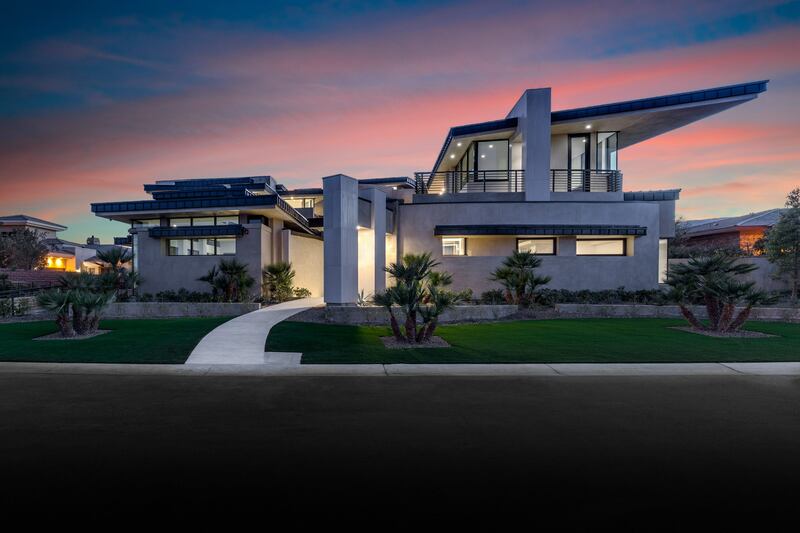 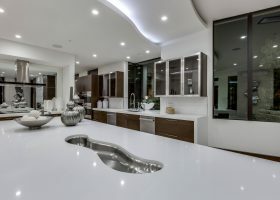 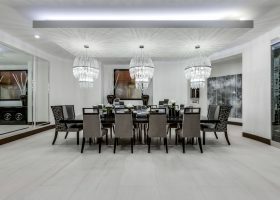 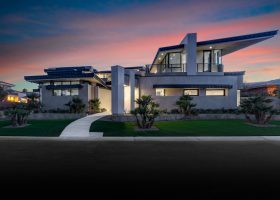 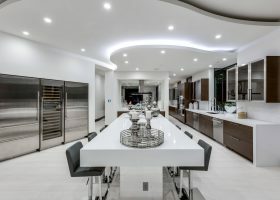 Designed as an “organic” estate by Growth Luxury Homes, this Mediterranean modern masterpiece is enhanced with smart features, making it the largest residence in the nation to exceed the Department of Energy’s Zero Energy Ready Home standards. 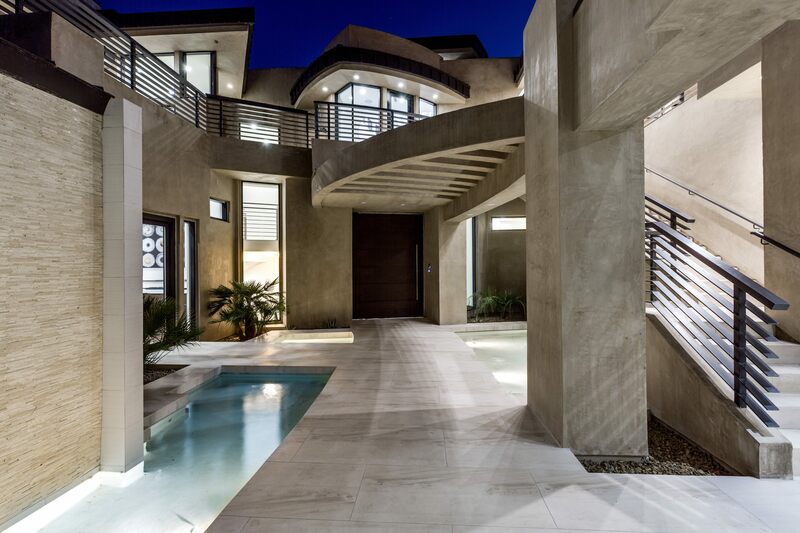 With a prime location in The Ridges of Summerlin, the property has stunning Strip, mountain and golf course views. 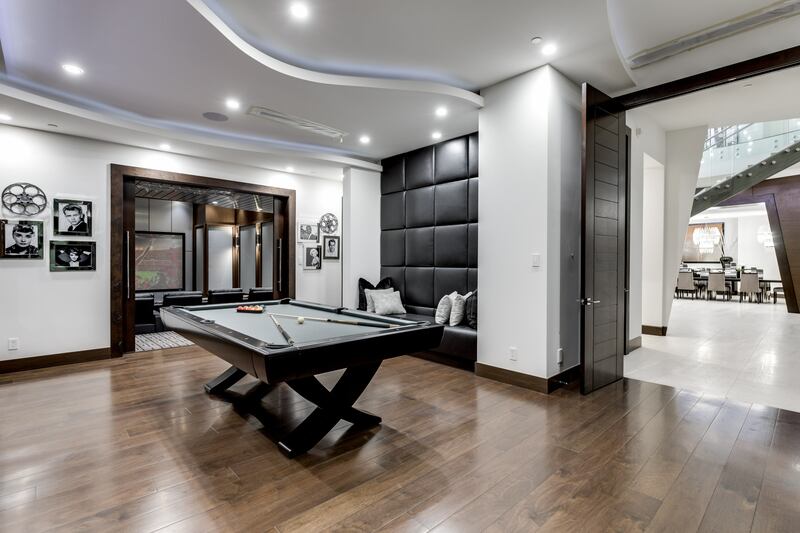 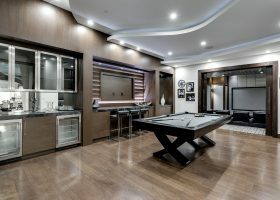 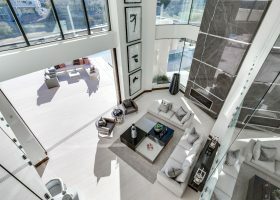 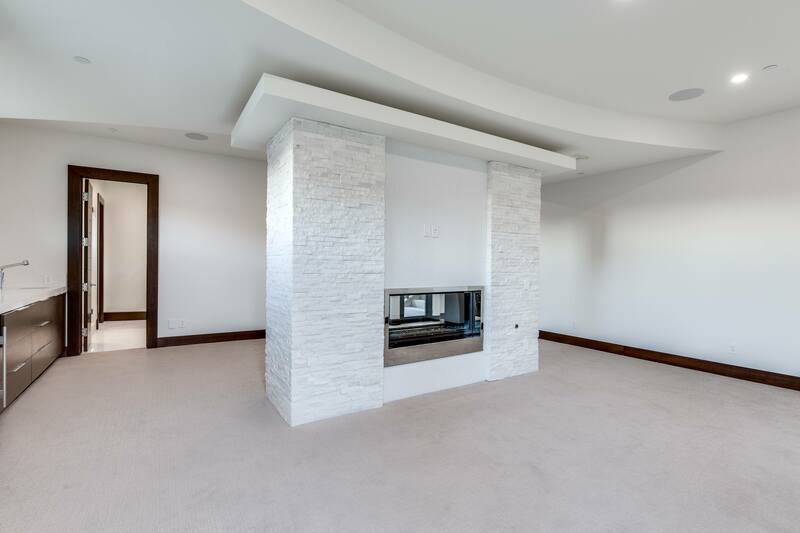 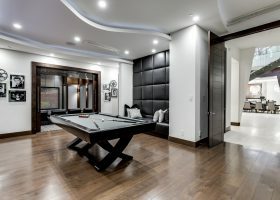 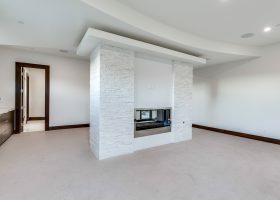 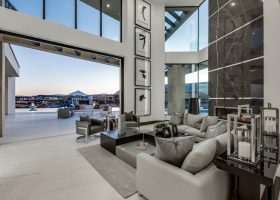 A marvel of space and natural light, with towering ceilings and luxury features, the home is convenient, efficient and indulgent all at the same time. 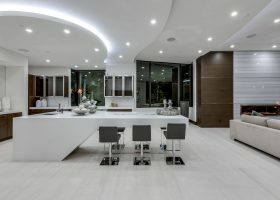 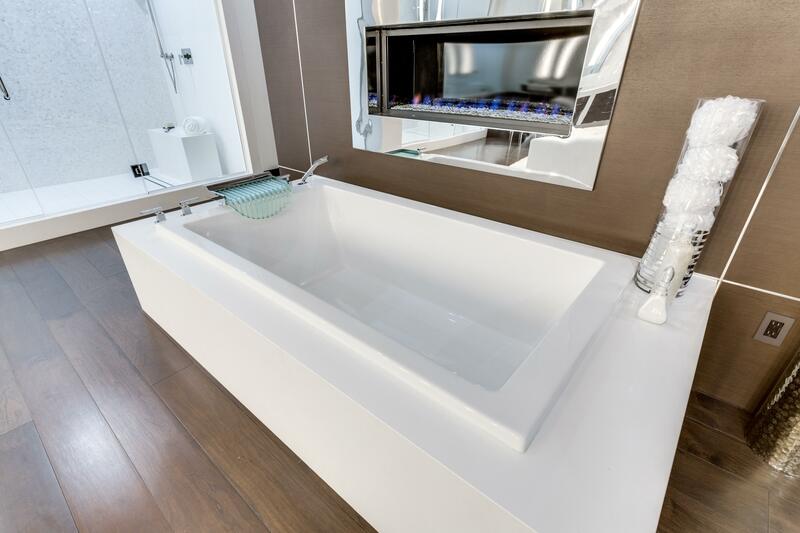 Body heat and motion sensors know when a room is occupied, adjusting temperature of both the air and water accordingly, offering consistency and comfort without waste. 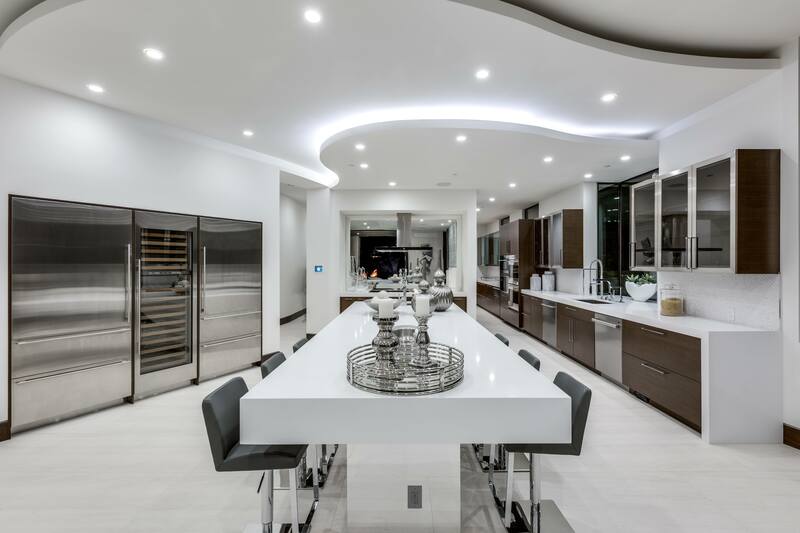 Appliances and fixtures are Energy Star compliant, the home is fully insulated and the air is treated to be clean and pure without any leakage. 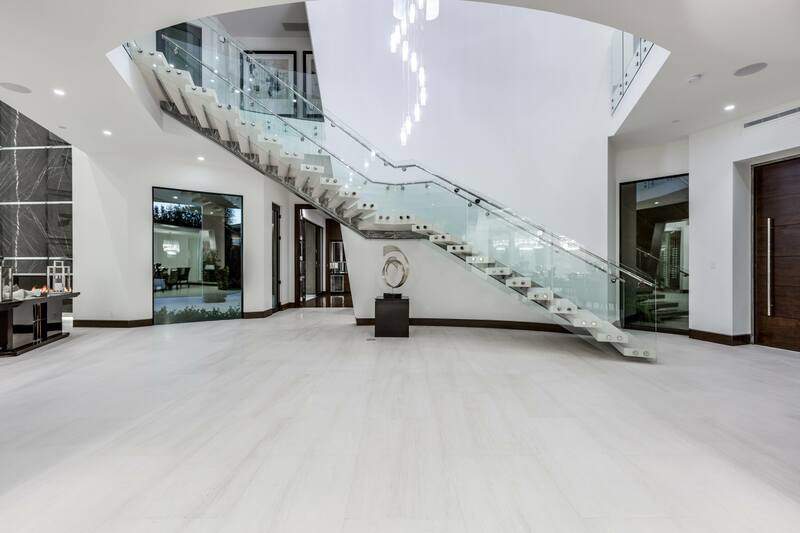 A cascading waterfall in the entryway sets the tone for tranquility, with a long stone walkway to welcome visitors. 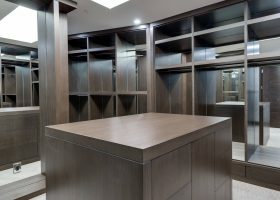 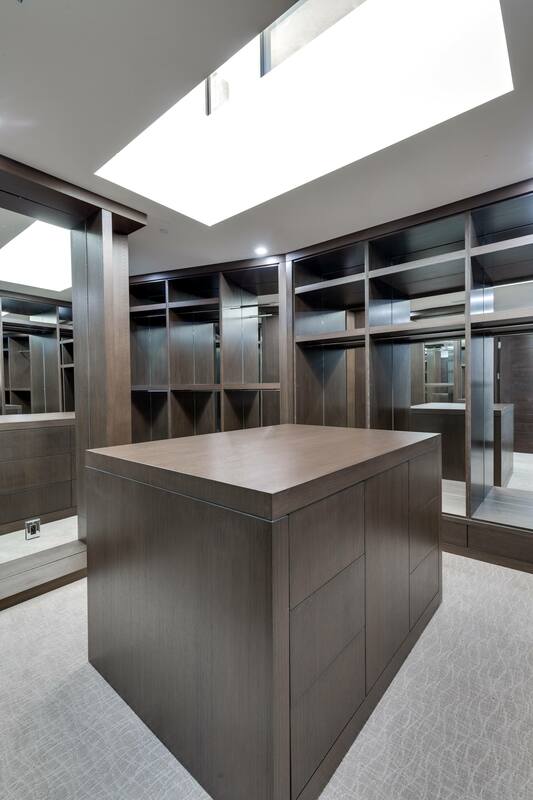 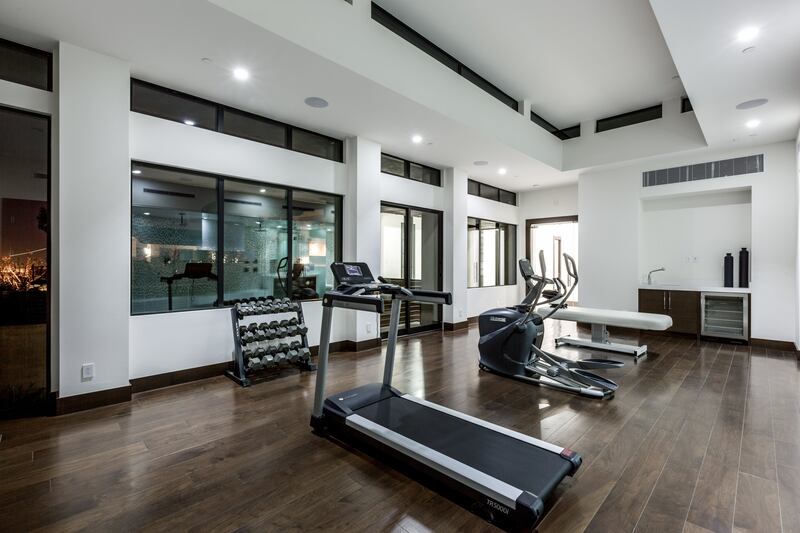 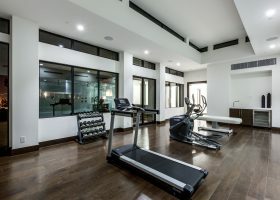 Seven spacious rooms, including one designed as a wellness spa, are spread out throughout the residence. 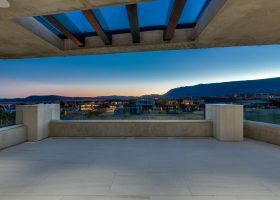 Outdoor terrace patios can be found on the second floor in multiple areas, including the master bedroom, which is a stunning example of design in itself. 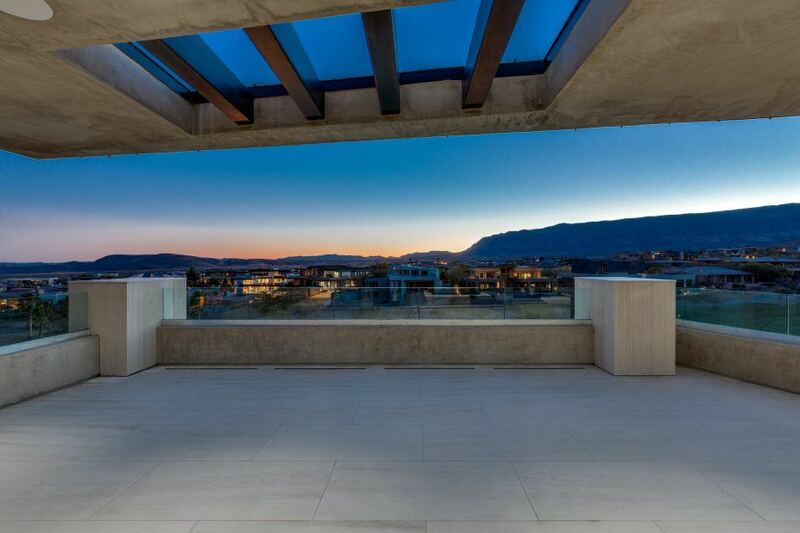 The windows are perfectly positioned to watch the sun rise in the east and set behind the mountains in the west. 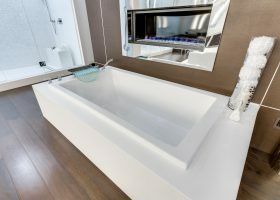 The master bath has two giant walk-in showers side-by-side, a tub in the center of the floor and an outdoor shower with a view of the Strip. 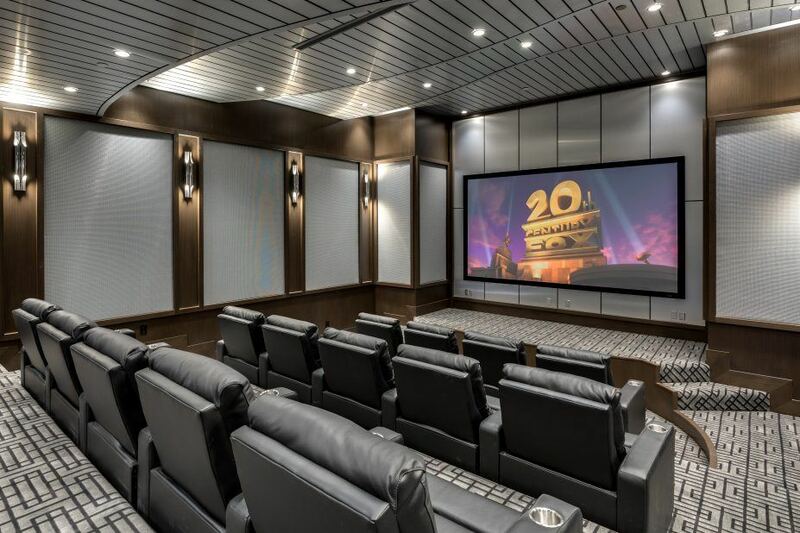 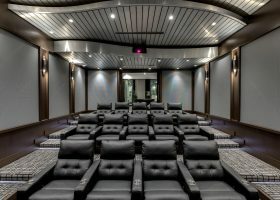 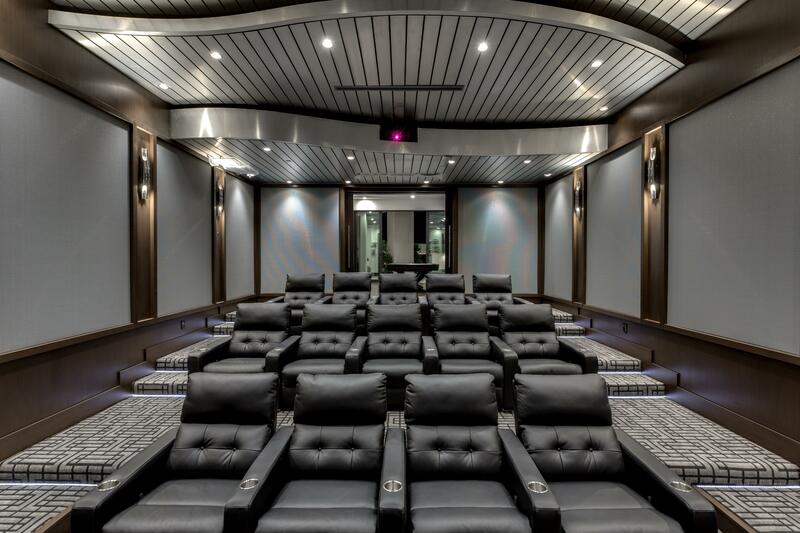 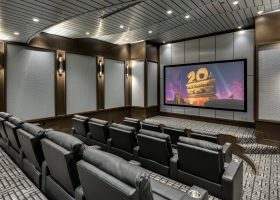 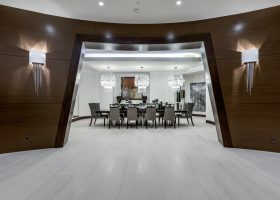 Other luxury features include a 14-seat movie theater, wine room, jaw-dropping gourmet kitchen and much, much more! With tall wood doors, marble finishes, layered ceilings and a grand floating-style staircase, the home makes full use of all available space with towering windows gazing outdoors. 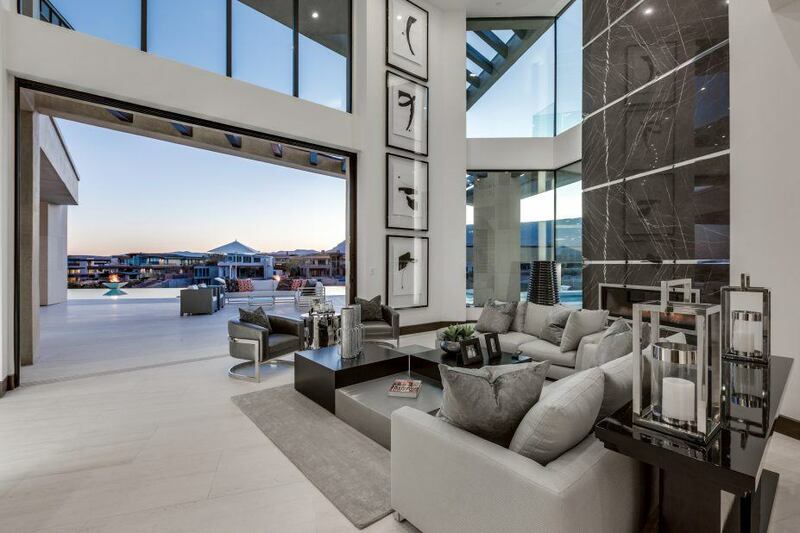 With Fleetwood doors, the living room opens wide, offering a majestic entrance to the back patio where an infinity pool twists and turns around corners. 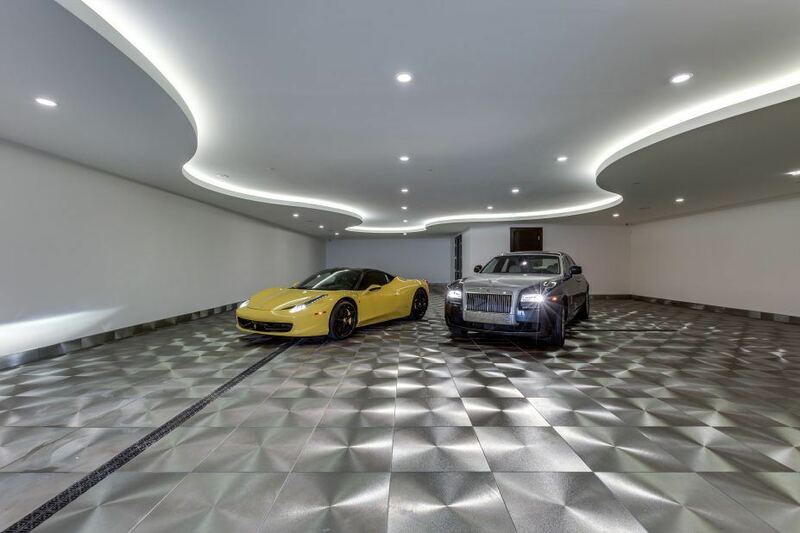 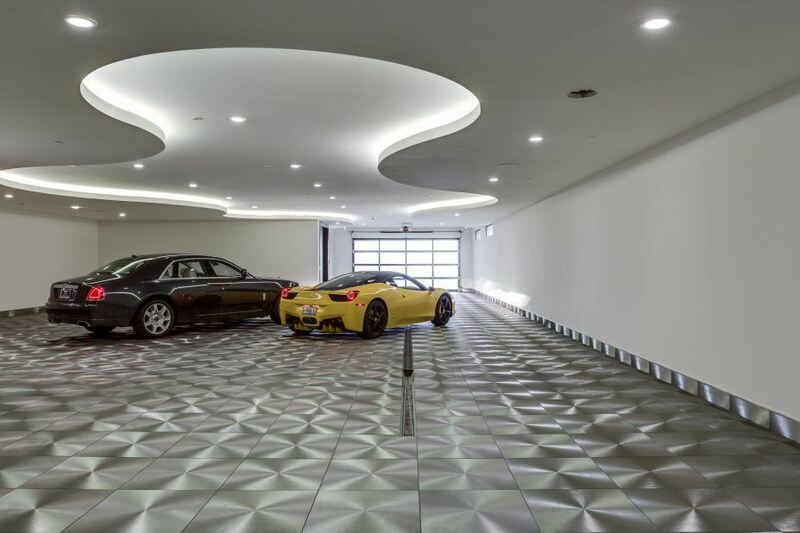 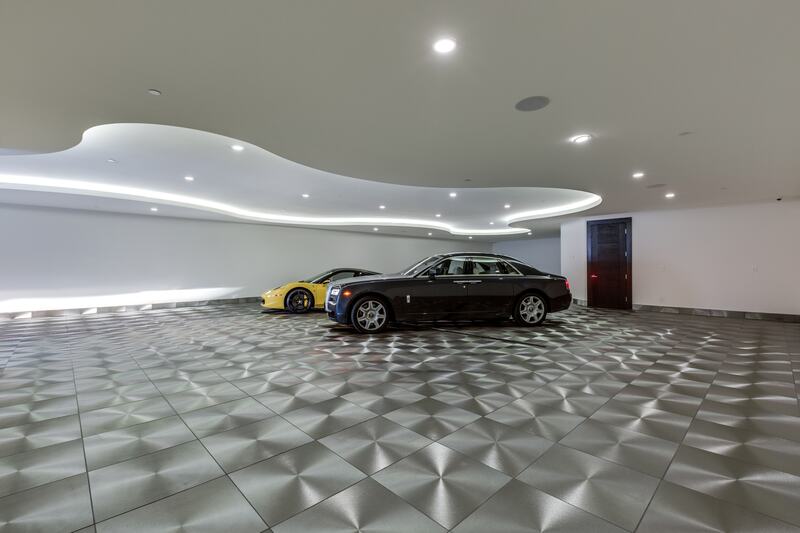 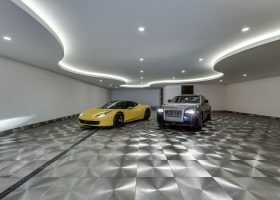 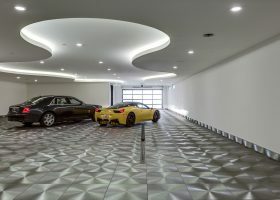 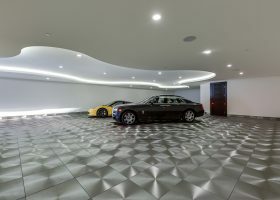 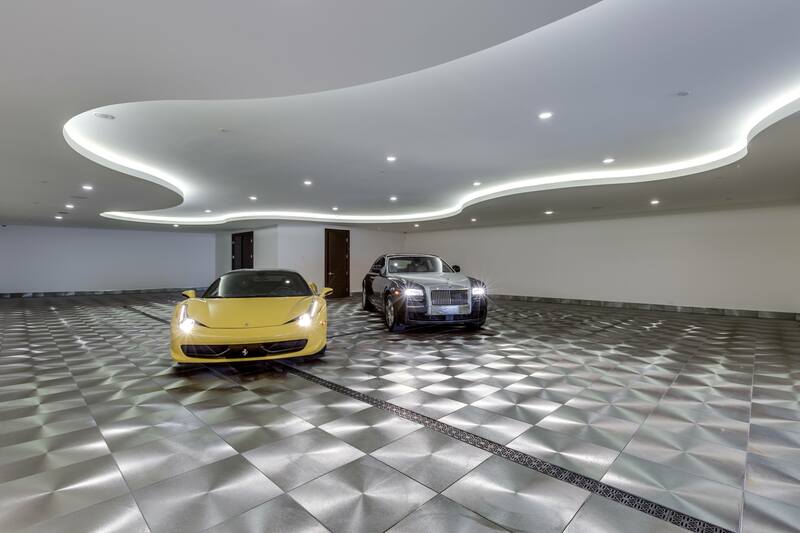 The subterranean 12-car garage is column free and has the feel of a showroom, with a driveway designed to protect vehicles from scratching on the slope. 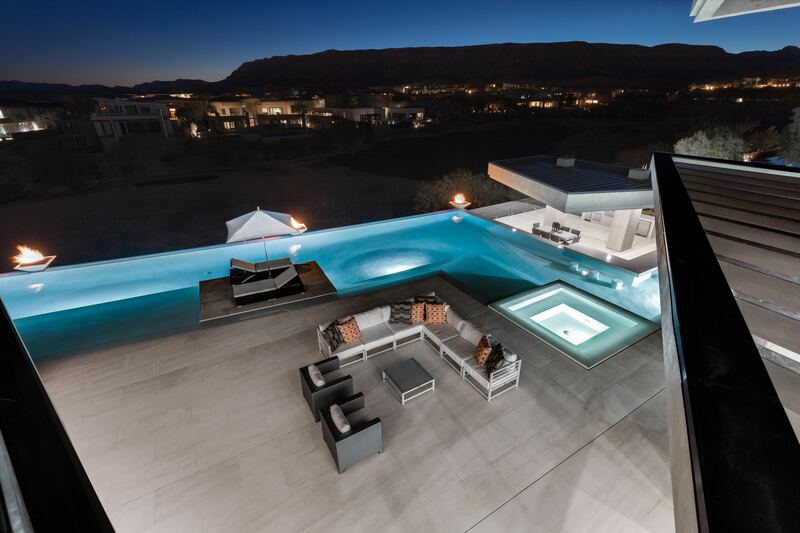 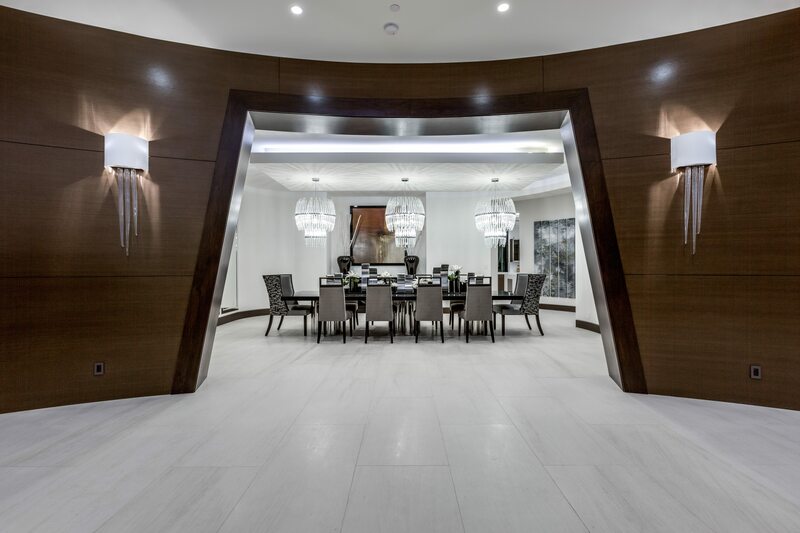 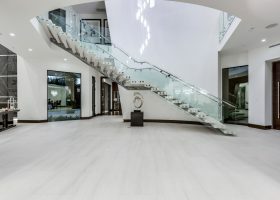 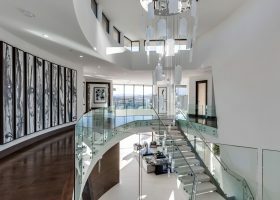 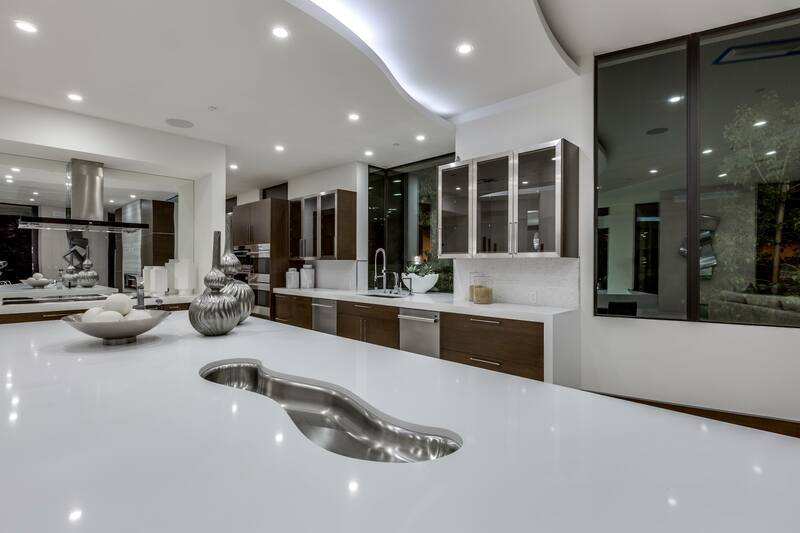 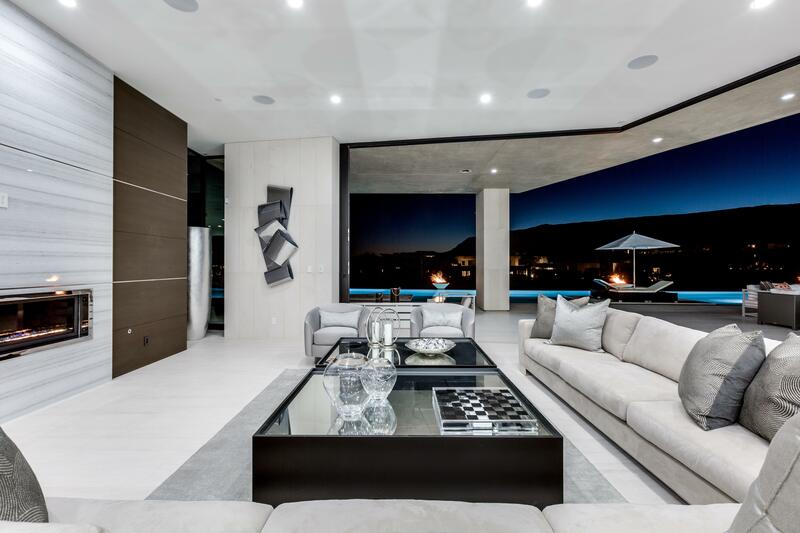 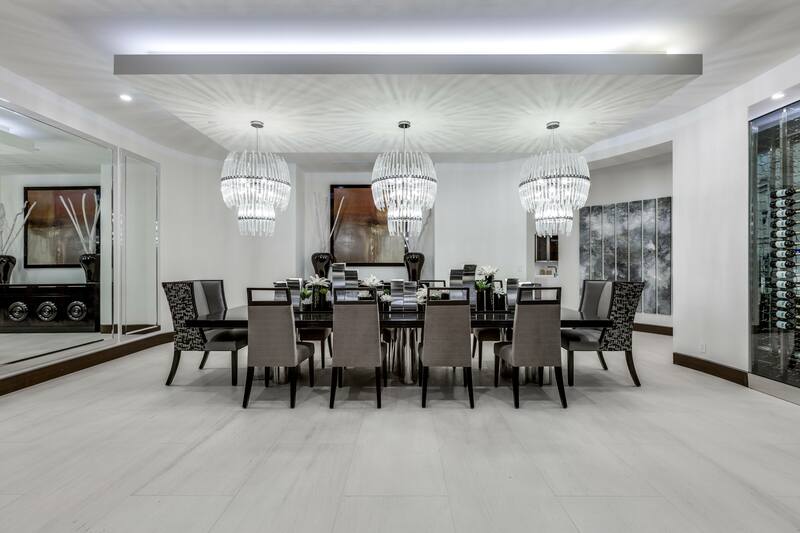 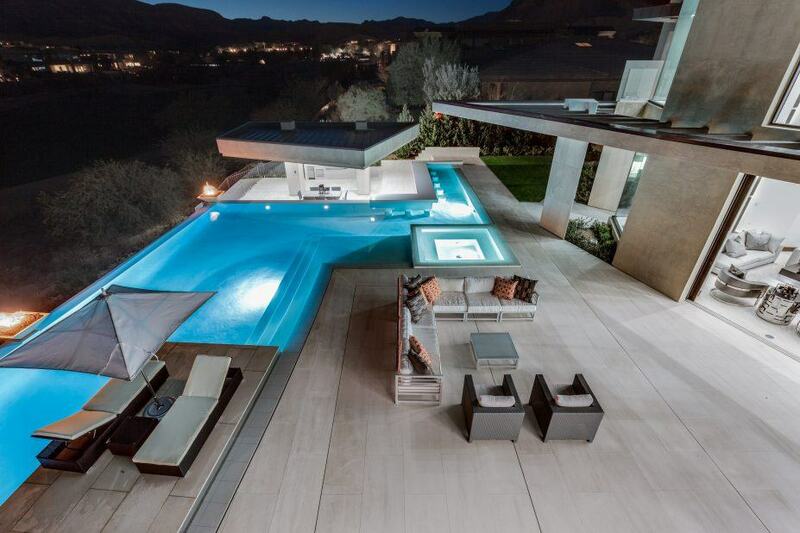 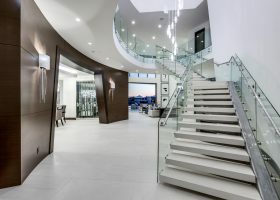 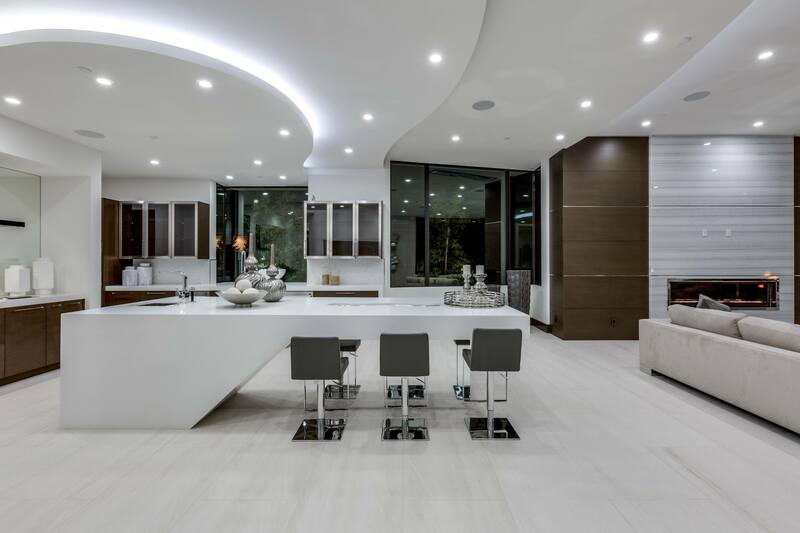 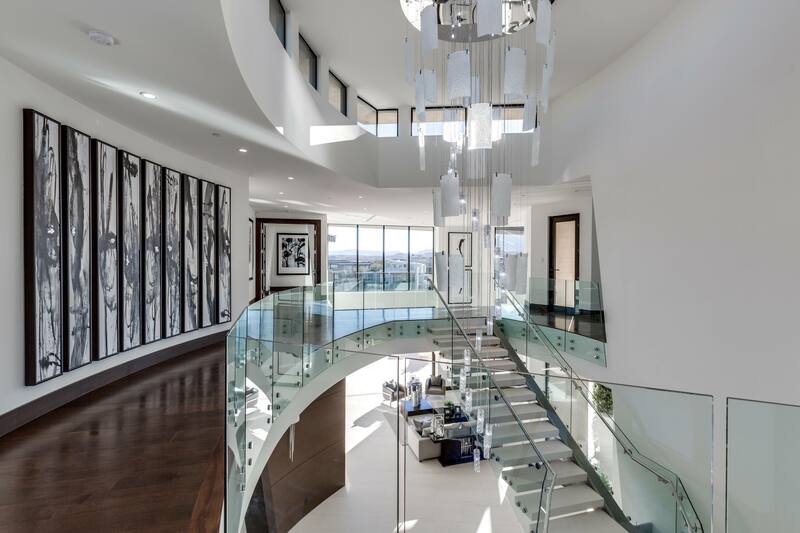 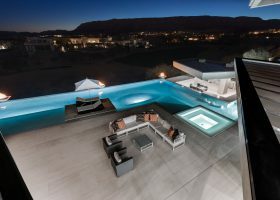 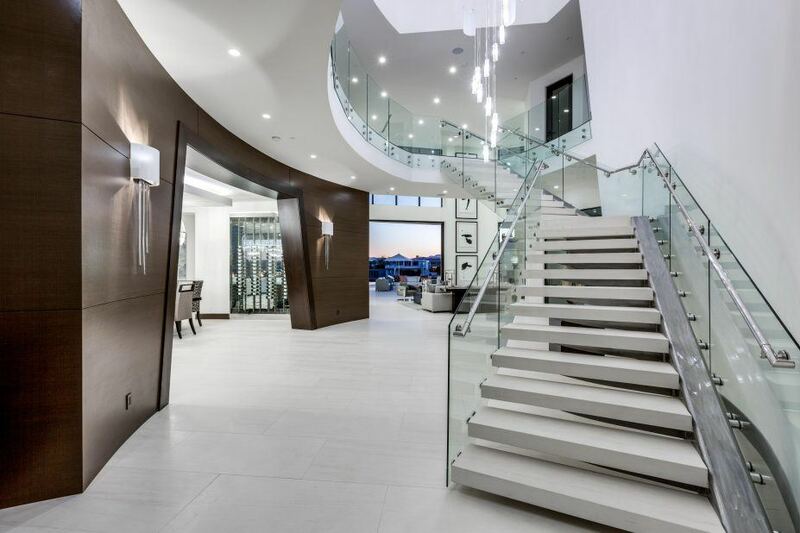 This organic home sets a new benchmark for luxury living in Las Vegas.